i Click 'view all' to instantly compare this wait with offers on other top men's electric shavers. 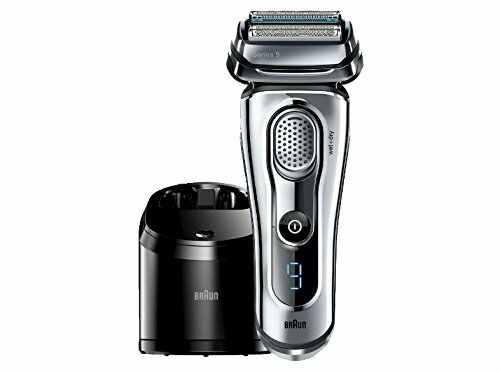 Braun Series 9-9095cc Wet and Dry Foil Shaver for Men is currently selling at $499.99, approximately $124.78 higher than average. With a lowest price of $349.99 and an average of $375.21 it is selling on the high end of its usual range. Price volatility is 0.3% (meaning it does not change often), so you might have to wait a while for the price to drop. Right now this product is a recommended 'wait'. 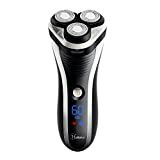 Compare the current price, savings (in dollars & percent) and Buy Ratings for the top Men's Electric Shavers that are closely related to Braun Series 9-9095cc Wet and Dry Foil Shaver for Men. Here is how Braun Series 9-9095cc Wet and Dry Foil Shaver for Men compares with other leading Men's Electric Shavers. 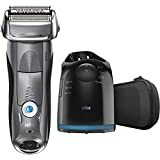 Braun Series 9-9095cc Wet and Dry Foil Shaver for Men with Cleaning Center, Electric Men's Razor, Razors, Shavers, Cordless Shaving System FeaturesBraun's most efficient and comfortable shaver for skin. Proven on 3 day beards.Intelligent SyncroSonic technology: The synergy of 4 specialized cutting elements and intelligent Sonic Technology with 40,000 cross-cutting actions per minute, designed to capture different types of hair.Quadruple action cutting system for maximum facial adaptability.OptiFoil for perfect closeness that lasts longer. Braun's most advanced foil structure.